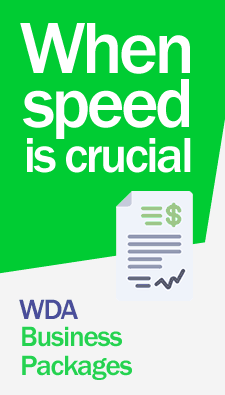 Get your Patent Registration through WDA lawyers. Our specialized lawyers will obtain the registration of your patents and will keep you informed at all times until obtaining your Patent Certificate of Invention. For information on costs and fees for the registration of patents in Panama. Contact us now. As in almost all jurisdictions in Latin America, the Patent Register in Panama is nothing more than a Title, delivered by the State to the Author or the Creator of a New Invention or a utility model. This exclusive and exclusive Commercial exploitation right will allow the Holder to enjoy this right for a period of twenty (20) years and ten (10) in the case of utility models. In Panama, the agency responsible for handling all matters relating to the Register of patents is the General Directorate of the Industrial Property Registry (DIGERPI). Same that it manages an inventory and control of all the patents Granted by the Panamanian State. Through the Patents of Confirmation or Revalidation, holders of patents granted by other countries will be able to protect their inventions in the Republic of Panama. This is because the Republic of Panama is a signatory of multiple international agreements. 2- Application for Patents to the General Directorate of the Industrial Property Registry (DIGERPI). 8- If the inventor is the applicant must include the agreement between the Applicant and the creator, where it is authorized to Register and obtain this patent. 9- Certified copy of Public registration of the Patent in the country of origin. If it is a patent granted abroad. 10- All documents of foreign origin must be legally translated into Spanish.